The olympic fever just singed me down. 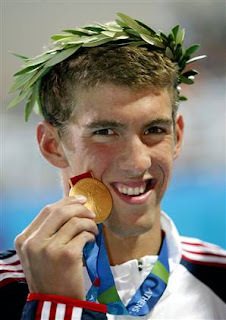 Michael Phelps won 8 gold medals in this olympics alone and he was fittingly called the 8th wonder of the world. Great people inspire me and Phelps' splash bravery in the pool inspired me to become a champion too. The inspiration was of so much intensity that I could feel it in my heart beat too.I finally made up my mind to become the next BIG sensation in the pool in India . So the first thing I did after the inspiration thought hit me, was go on a shopping spree to buy an underwear.The sports-shop seller called it a swimming trunk. But I still call it an underwear. I made the purchase. I wore it and oh yea,it indeed was a wonder-wear.Next stop, I made my way to the pool.The next two hours people gave me wierd glances.I knew they were trying to discourage me. But I followed what my kindergarten class teacher told me. " Do not talk to strangers". But after sometime a small crowd gathered around me and were watching me with great curiosity.I thought to myself, "Well! 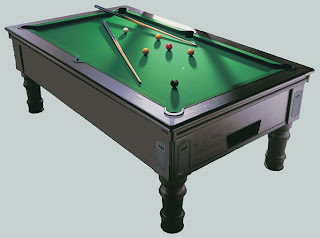 I am getting so much attention in my very first attempt at pool. What would be after four years in the London olympics". I waved at the crowd. They cheered back at me. Suddenly a rough guy approached me and said, " You are not supposed to play this game with just an underwear. I request you to wear proper clothes and come here". I knew that he was jealous of the attention I was getting all the time. This morning,I read in the news papers that Phelps won the gold medal in the swimming pool. I immediately realised the reason for all the commotion regarding my wonderwear. I wore my wonderwear for a game at the pool table and not to the swimming pool. lol. that was great. never thought you could go and play POOL in swimming trunks. ps:love ur header..."long long ago,very long ago,very very very long ago,i started writing.now i'm still writing." i expected a very serious guy who might be trying to calculate the speed of speedo using an instrument designed by suresh kalmadi.. Pool and a fool??!!! Hilarious!!! I really thought you were talkin about the swimming pool man !! Nice to see you after so long.